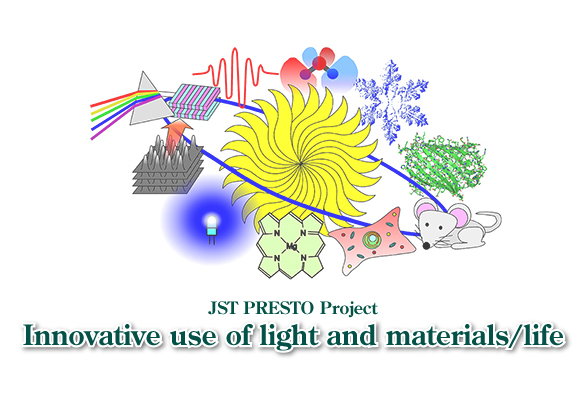 The 5th PRESTO Meeting of the Research Area was held at Chisun Hotel Hamamatsu-cho in Tokyo. The researchs of the last (3rd) Phase for this area have officially started. The 4th PRESTO Meeting of the Research Area was held at Chisun Hotel Kobe in Hyogo. The 3rd PRESTO Meeting of the Research Area was held at Hotel Associa Shizuoka. The researchs of the last (2nd) Phase for this area have officially started. The 2nd PRESTO Meeting of the Research Area was held at Sapporo Aspen Hotel in Hokkaido. The 1st PRESTO Meeting of the Research Area was held at Nara Centennial Hall in Nara.